Wondering whether you need to go to the ER or an urgent care clinic? Then click here. This article will break down when you should visit an urgent care clinic. There are more than 7,000 urgent care clinics located throughout the United States. There’s a good chance you live near one right now and could use it if you wanted to. But there are many people who aren’t sure what an urgent care clinic is or when they should consider visiting one. Part of the reason people are confused is that they’re under the impression that an urgent care clinic is the same thing as an emergency room. However, this couldn’t be further from the truth. The two are very different, and you wouldn’t always want to visit an urgent care center for the same reasons as an ER. If you would like to learn more about what an urgent care clinic is and when you should utilize one, continue reading. An urgent care clinic is essentially a doctor’s office with better hours. While the average doctor’s office opens at around 8 or 9 a.m. and closes at around 5 or 6 p.m., an urgent care center will open early, close late, and offer night and weekend hours for those who need medical assistance. Of course, every urgent care is a little bit different and keeps different hours. But in general, you will find that most clinics are open at most times and have nurses and doctors in the building to help you with a range of different medical problems. What Makes It Different From an Emergency Room? While an urgent care clinic sounds a whole lot like an emergency room, it’s important to note the differences between the two. Most emergency rooms are, for starters, located inside of hospitals. They never close and can offer you treatment for just about any medical issue at any time of the day or night. While you could visit an urgent care center to try and get assistance when exhibiting any of these symptoms, you would be much better off visiting an emergency room instead. In fact, your urgent care facility would likely instruct you to go to the ER if you came in with any of these symptoms present. When Should I Visit One? 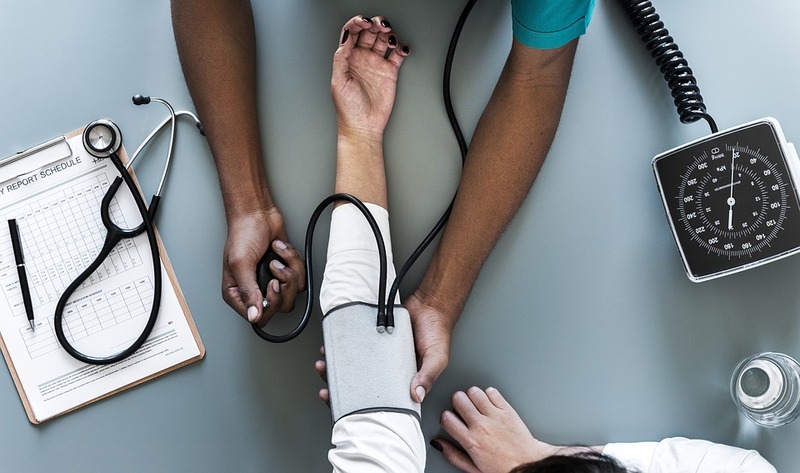 While you probably shouldn’t visit an urgent care facility if you are showing any of the signs and symptoms listed above, there are plenty of medical issues that can be dealt with at urgent care. Many of these issues are the same types of problems you would visit your regular doctor for. A nurse or doctor at urgent care will more than likely be able to treat you for any of the symptoms listed above. They will also be able to let you know if you should plan to schedule a follow-up appointment with your regular doctor. Are There Long Wait Times at an Urgent Care Center? One of the reasons some people dislike going to the emergency room is because it always feels like there’s a long wait. Even if you visit the ER in the middle of the night, there tend to be people crammed into the waiting room trying to see a doctor. This is usually because the doctors in an ER have to deal with serious conditions that can be time-consuming. For example, if someone comes in with a broken leg, there are quite a few steps that person must go through in the ER. It can slow things down and force people to wait for extended periods of time to get medical care. This isn’t usually the case in an urgent care center. The conditions that nurses and doctors have to diagnosis are usually on the less serious side, which gets patients in and out as quickly as possible. It allows nurses and doctors to see patients quickly and keeps people from having to spend a long time in the waiting room. ERs will also usually push people with serious medical conditions up to the top of the priority list, which pushes those with less serious conditions down. Many of those people would be better off going to an urgent care facility instead since they would be seen with more of a sense of urgency. Will It Accept My Health Insurance Plan? This is one of the other common questions people have prior to visiting urgent care. They aren’t sure if their health insurance will be accepted. Not all urgent care centers accept all types of insurance, so you will have to call ahead to see if they take your insurance. But most urgent care clinics accept most types of insurance. They also offer lower copays than you will find in the emergency room. That alone is usually reason enough for people to visit an urgent care center. While urgent care facilities are popping up all over the place, there is also a new form of urgent care available in some places. Companies like Anywhere UrgentCare are taking urgent care a step further and bringing medical care directly to patients at home. This approach to urgent care could grow exponentially in the coming years. People seem to appreciate the convenience it offers and love not having to leave their homes to get the medical attention they need. You might start to see this type of urgent care becoming available in new places soon. Locate a doctor or an urgent care clinic in your city to get the medical attention you need today. Take a look at the health topics on our blog for more information on taking care of yourself.